On November 17, it was announced that the Sioux Falls Sports Authority, Northwestern College (IA) and Dakota State would play host to the Division II NAIA Men’s Basketball Championship Tournament for 2018 and 2019 at the Sanford Pentagon in Sioux Falls. 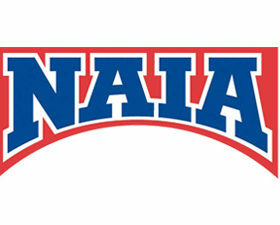 The NAIA National Championships will return to South Dakota for the first time in 9 years after Rapid City served host for the NAIA Women’s Golf National Championships in 2009 and 2010. This isn’t the first time that Sioux Falls and its Sports Authority have landed big, national tournaments as Sioux Falls has hosted the 2016 NCAA Division I Women’s Basketball National Regional, as well the 2017 NCAA Division II Men’s Basketball Elite Eight on top of numerous Summit League Championships. The Pentagon is also the home of the NBA G-League and Miami Heat affiliate, Sioux Falls Skyforce. The National Tournament will consist of a 32 team, single elimination format over a six-day period. It is four quadrant style brackets, culminating into a Final Four and then the National Championship. Each of the four brackets have a 1-8 seed format. Last year, Union (KY) took home the hardware for the Division II Men’s Tournament. The Trojans will look to qualify for the tournament either by automatic qualification through a Conference Championship, or by getting an At-Large bid by finishing the year at 18-12 or better. They currently sit at 5-4 with conference play set to begin this Friday, December 1, when they welcome 18th ranked Jamestown (ND) to Madison. The Trojans qualified for the tournament in 2015 and 2016 by winning the Conference Championship but missed out on last year’s festivities. The Tournament will run from March 7-13 in 2018, and then from March 6-12 in 2019.